Please pardon my dust! I’m renovating around here – and like me – this site is a work in progress! There are big things coming to Hive Resources in September. I’m releasing my first e-Bible study next month. So, while we’re under construction getting ready for the big reveal, I hope you’ll enter to win one of my favorite reads from this summer. 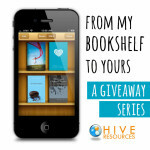 You don’t want to miss any giveaways in this series! And be sure to check back for all the fun things that will be happening here! 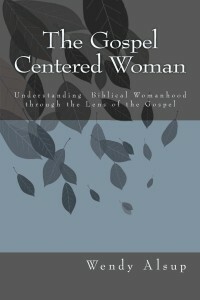 If there’s one book you should buy this fall, it’s Wendy Alsup’s The Gospel-Centered Woman: Understanding Biblical Womanhood through the Lens of the Gospel . 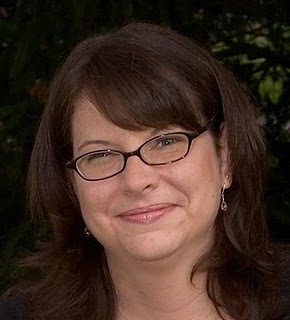 Written from a strong complementarian position, Alsup encourages women to let their identity as God’s image bearers equip them for their particular role in life – whether single, married, childless, mother, or widow. 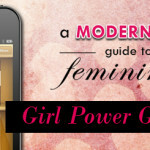 Most books on biblical womanhood focus on female figures in the Bible. I love those books! I love stories of how God works through ordinary wives and mothers. But Alsup asks the reader to elevate her eyesight beyond human figures – as much as we can learn from them – and fix her gaze on Christ. Because it is his image to which we are being restored, he alone should be the ultimate role model we prize for everyday life. 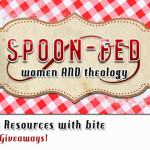 Most books on biblical womanhood focus on Scripture’s prescriptives for married women and mothers. I love those books too – I need all the help I can get in being a godly wife and mom! But Alsup urges women to find her greatest sense of fulfillment in Christ above any other role or any other person. Rightly ordered affections (God first, then husband, then family) will result in a strong women who is gospel-centered and best equipped to serve both her family and husband in the ways Scripture lays out for us. This has HUGE implications for single, divorced, widowed, and childless women. Want to win a copy? I’m giving away a copy to one lucky Hive Resources reader! Enter below. US Residents only please. Contest ends Friday at midnight IS OVER. Congrats to Abigail! And don’t forget to check back next week – I’m giving away one more book you’ll love and maybe even a little sneak peek at my forthcoming Bible study! I was provided a copy of this book to review. This post contains affiliate links. For more information, click here. Would love to have this book! It would be a happy shift from my normal read. Thanks for the giveaway! A similarly-themed title I love is Because He Loves Me by Fitzpatrick. This book sounds great, too! Thanks for the review. Oh Yes, that book is great, Megan! A wife after Gods own heart is still one of my favorites. 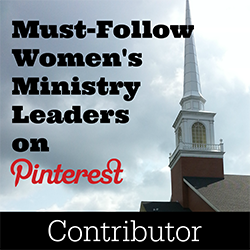 As a women’s ministry leader I’m always looking for good studies to do. Thanks for this opportunity! Ann, this would make a great study for a women’s group. In fact, there are discussion questions for each chapter and you could interact with the author on her blog. 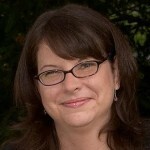 Love Wendy Alsup’s writing and would love to win this book! Thanks for stopping by again Angela! Always happy to see your name pop up! Would love to win a copy of this. Is there any way to enter for us non-Facebook users? I quit Facebook 2 years ago because I was convicted of how much time I was giving it rather than my family…and I never get to enter any giveaways. I loved her book Practical Theology for Women and would really like this one. I think I could benefit from a book like this. Just not in my budget at this time. The Excellent Wife by Martha Peace is one I love. 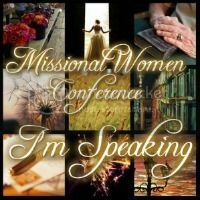 Thanks for the opportunity to win The Gospel Centered Woman! Dont have a favorite book on Biblical womanhood but I have been wanting to do a study on how to be the woman God created me to be and this book sounds wonderful. I recently finished “Passion & Purity” by Elisabeth Elliot, so good! This looks really solid, Melissa! Thanks for bringing it to our attention. Am going to have to read this book. Thanks Melissa.